Bugatti Chiron Review 2019 | What Car? 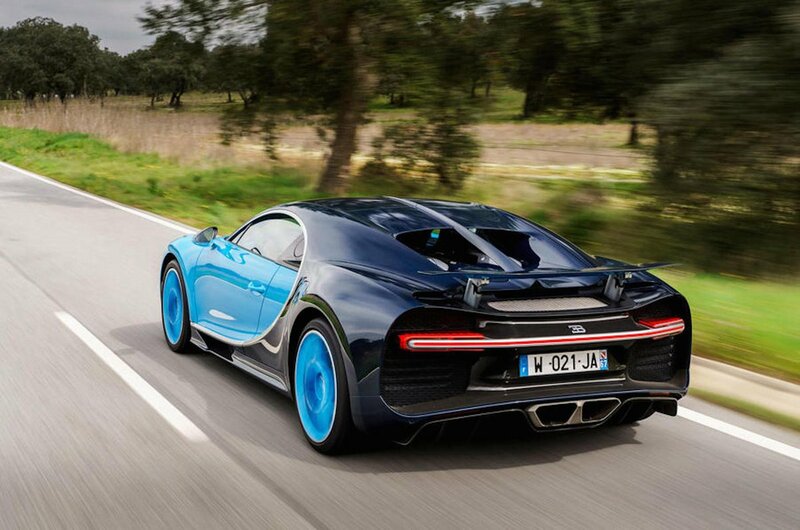 The Bugatti Chiron has a very clear brief: to be the world’s fastest, most exclusive, most expensive production car. 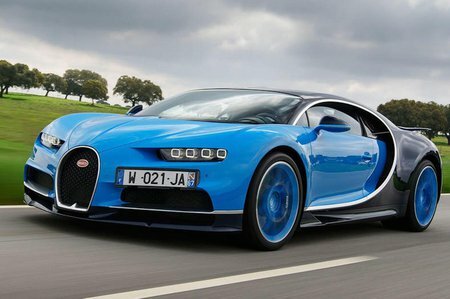 Bugatti is part of the Volkswagen group and Bugatti sits at the top of the VW group pyramid. If you imagine that Skoda is at the bottom - purveyors of great value, ‘simply clever’ family cars with untellable practicality and enviable costs of ownership - well, the Chiron is the opposite of that. It’s a carbonfibre two-seater, with an engine in its middle, behind the cabin. There’s an ultra-strong passenger cell, plus carbonfibre bodywork cladding the top of it. It may not surprise you to learn that there’s only one engine and transmission option. It might surprise you to find that it’s an 8.0-litre W16 petrol engine with four turbochargers, which drive through a seven-speed dual-clutch gearbox to all four wheels, albeit with a bias towards rear-wheel drive. Even in the realm of hypercars, the Chiron is quite fast, as its predecessor, the Veyron, was, when that was introduced in 2005 and became the world’s fastest production car. The Chiron’s acceleration and top speed is similarly, today, beyond the realms of its competitors: it can go from 0-62mph in 2.5sec, and is electronically limited to 261mph. It arrived on sale at a time when it had few direct competitors. Koenigsegg and Pagani sell the cars closest to it: the Ferrari LaFerrari, Porsche 918 Spyder and McLaren P1 were all off-sale at the time of the Chiron’s arrival.